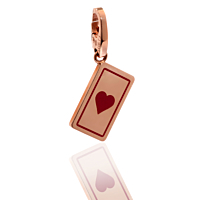 Put on your best poker face with this 18k rose gold playing card charm from Cartier! 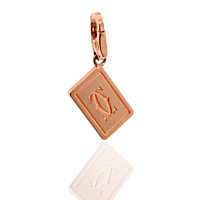 Whether you're running a gambit at the blackjack table or playing it coy around the object of your heart's desire, this charm is the perfect way to play your style cards right. Clever, fashionable and luxurious - just like the lucky leading wearing it!